Wire today's homes for the full potential of tomorrow's digital world. Distribute voice, data, video, and home theater and whole house audio throughout the home. Sky.com’s family of design and residential network wiring products help ensure that your home will be ready for the future. Does your kitchen have a desk or work area? 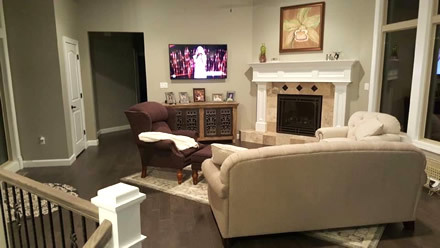 How many flat panel TVs do you want hanging on the wall with no equipment being seen? Do you want whole house audio? If so how many zones? 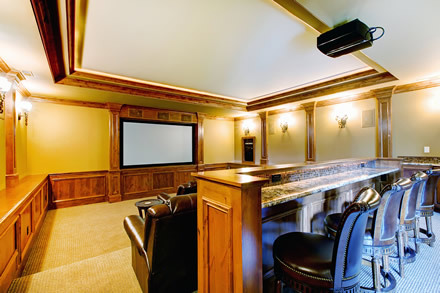 Do you want to wire for home theater? Are you going to have rear projection in theater room? Fixed screen or drop down screen? Size of screen? Do you have a place in mind where theater equipment is to be installed? Do you want cameras at your front door or overlooking driveway? Do you want to watch the camera pictures on your cell phone live from anywhere in the world? Do you want the capability to have wireless internet anywhere in your home? 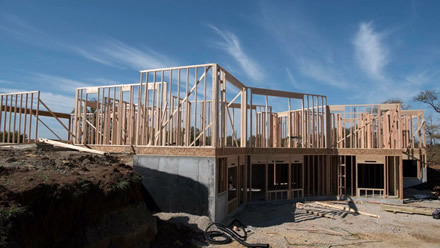 Are you building your own home? If not, who is your builder? Complete an estimate request, and we can give you a solution for your low voltage wiring needs! With our sister company, DIY Structured Wiring.com, network your home with our DIY kits. Save money by setting up residential structured wiring yourself with our guidance.